Activities with little ones don't have to take a lot of time to set up, or be very arty or scientific. Here's a really simple idea that could transform your mealtimes into a fun interactive experience. his way bit by bit through a mound of other ingredients. Toby plumped for rolling his bread over cheese and cucumber slices, then demolishing it fajita style, followed by sitting on my knee and shoving lettuce in my mouth faster than I could swallow it. 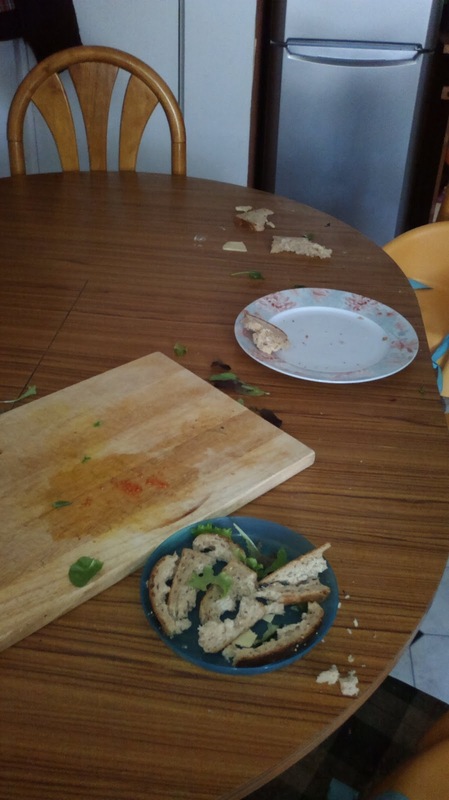 However they got there, the outcome was that both boys got a big helping of healthy food that they might otherwise have fussed over. This is a good activity for developing creativity and decision making skills, as well as involving lots of sensory stimulation in seeing, tasting, smelling and feeling the different foods. You can use it to develop language skills by directing questions throughout the meal to encourage your kids to describe what they're experiencing, name the food types, and think about their favourite tastes, smells or colours. 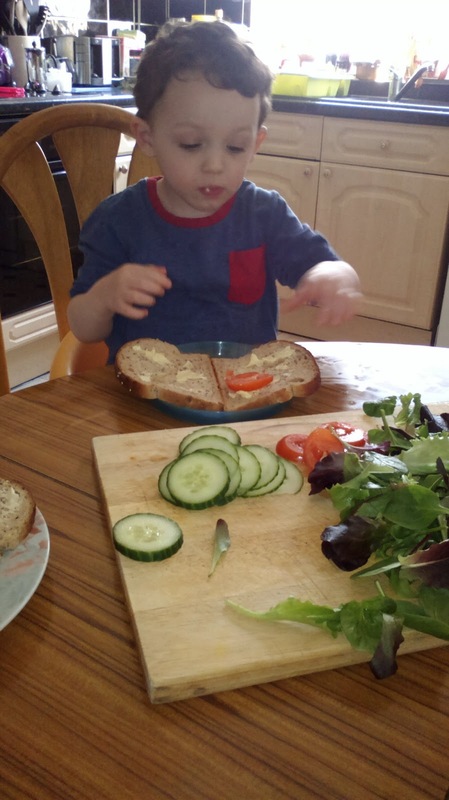 An added bonus is that any time you can spend with your children where you are preparing and eating food together helps to banish food fears and fussy eating. Kids will eat pretty much anything if they've had a hand in making it themselves. You are also priming your kids to avoid prepackaged convenience foods later in life when they see food preparation as something fun and communal rather than just domestic drudgery. You might even come up with a killer sandwich recipe you wouldn't have dreamed could work (peanut butter is awesome with salad! ).